I’d like to first off apologise for the lack of posts in the past few months. I know I promised that I’d post more this year but everything seemed to get in the way and distract me from blogging. If any of you follow me on Instagram then you’ll have noticed that at the end of last year, I took the dive into veganism. Initially it was just to lose weight but now I can’t see myself ever going back to eating dairy and I’ll tell you why. I love cheese. I love milk. I love chocolate. Unfortunately, they don’t love me. They used to leave me feeling sluggish and gave me incredible stomach pains. This made it easier for me to decide on going vegan. I’d been vegan in the past but found it very hard to keep it up as I was always tempted by the delicious dairy products. I’ve been vegetarian all my life so it wasn’t too much of a change and this time around, there are a lot more vegan alternatives on the market. Back when I was vegan a few years ago, the only vegan cheeses readily available were absolutely vile and didn’t resemble cheese at all. I was also young and so didn’t have control over what was being bought. Now I’m an adult (apparently) and can make my own choices, I’ve discovered some gems. Tesco now stock a range of vegan cheese that is actually palatable and fills the void in my life that was left when I stopped eating real cheese. It’s surprising quite how much you can eat when you cut out a big food group and it makes you really think about what you’re eating. I’ve made lots of homemade meals such as the ones pictured below. 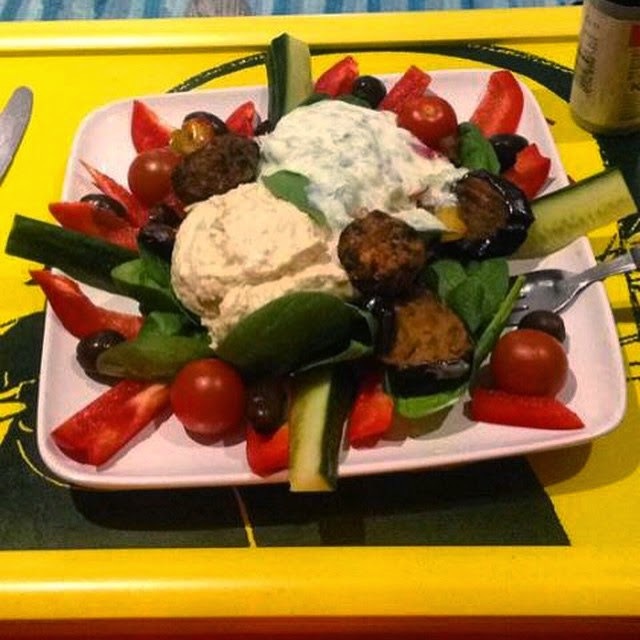 Homemade tzatziki with hummus, falafel and salad. 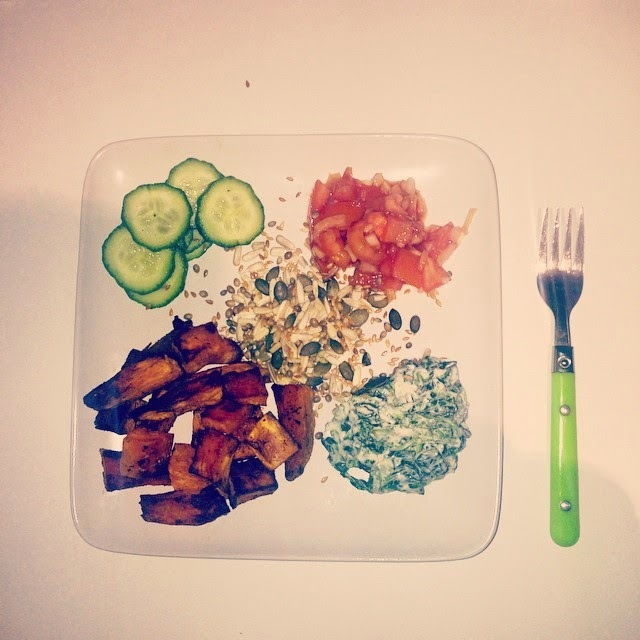 Homemade sweet potato chips, homemade salsa, homemade tzakziki, cucumber and seeds. 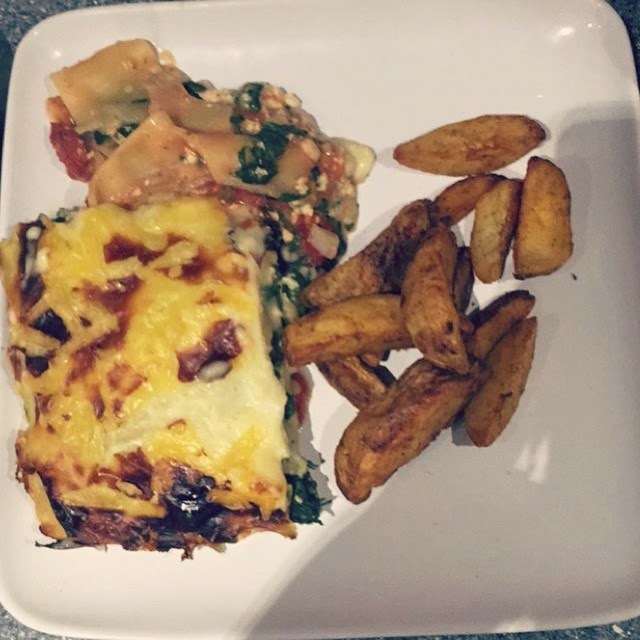 Homemade spinach and tofu lasagne with spicy potato wedges. 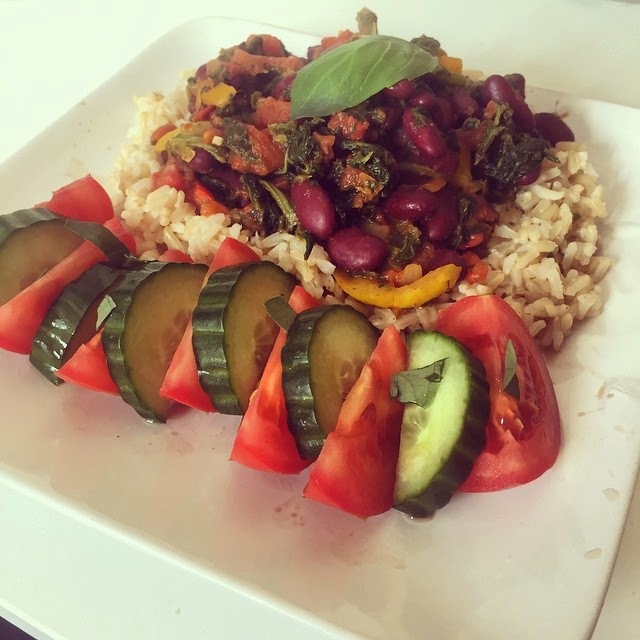 Homemade spinach and kidney bean curry type thing with rice, cucumber and tomato. So as you can see, eating vegan food isn’t boring at all. It’s tasty and creative. Although most of my sweet cravings have gone, Oreos are always available for when the mood takes me. I love finding foods that you wouldn’t expect to be vegan that can be bought in any shop. I don’t see why I’d go back to eating dairy when there are so many alternatives available that make me feel a lot healthier and happier! In the next few weeks, I’m going to be working on some recipes and posting them for you lovely people that will hopefully inspire you. Are any of you vegan and have some recipes you think I might like? Let me know in the comments! Great stuff seeing delicious, Vegan food Jodie!! All looks so yummy and I'm glad you're enjoying being Vegan!